Copper works, as I call it, is something I do in my spare time. It's a meticulous, figidity, type of work which is a great stress reliever. No two pieces come out the same. 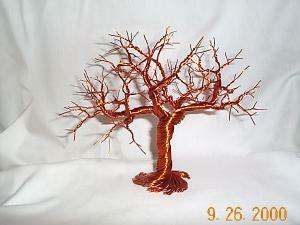 Several variables such as: wire size, coil size, my temperment, and customer requests makes each tree unique.